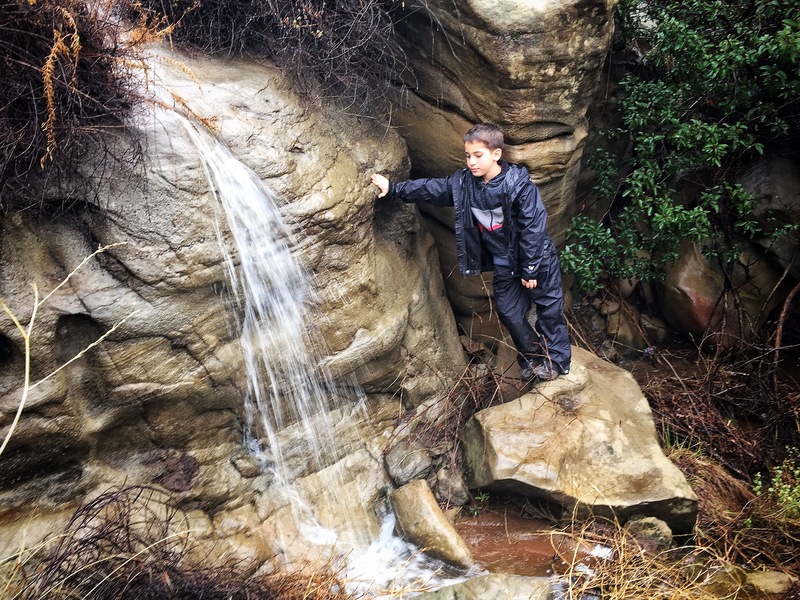 Still raining in Los Angeles, so I headed back to Hummingbird Trail to try to spot rock shelters. In dry conditions its hard to tell which were really used by natives for shelter, but when it rains, its very obvious. The sandy floor stays nice and dry and of course the charring marks on the ceiling. Today, I also had a hiking buddy who got out of school early. Epic flash flood style mud puddle play!